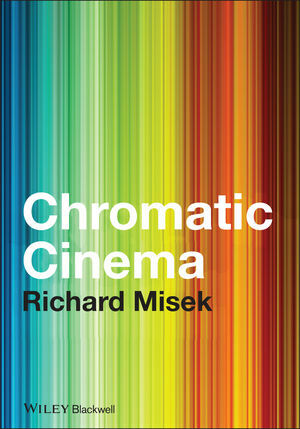 Richard Misek is a film-maker and Lecturer in Screen Studies at the University of Bristol, UK. He has been published widely in film journals, and his short films have been shown at festivals including Cannes, Raindance, and Clermont-Ferrand, and broadcast on BBC2 and Channel 4. Coloration in Early Cinema, 1895–1927. The Rise of Technicolor, 1915–35. Chromatic Cold War: Black-and-White and Color in Opposition. “Technicolor Is Natural Color”: Color and Realism, 1935–58. Chromatic Thaw: Hollywood’s Transition to Color, 1950–67. Color in European Film, 1936–67. Chromatic Ambivalence: Art Cinema’s Transition to Color. “Painting with Light”: Cinema’s Imaginary Art History. Monochrome Purgatory: Absent Color in the Soviet Bloc, 1966–75. Black-and-White as Technological Relic, 1965–83. Black-and-White Flashbacks: Codifying Temporal Rebirth. White Light: Hollywood’s Invisible Ideology. Darkness Visible: From Natural Light to “Neo-Noir”, 1968–83. Cinematography and Color Filtration, 1977–97. Case Study: Seeing Red in Psycho. Crossing the Chromatic Wall in Wings of Desire. An Archaeology of Digital Intermediate, 1989–2000.